Reformed theology is not Roman Catholic in its understanding of justification. This is simply to say that Reformed theology is evangelical in the historical sense of the word. In this regard, Reformed theology stands strongly and firmly with Martin Luther and the magisterial Reformers in their articulation of the doctrine of justification by faith alone. It affirms the solas of the Reformation, which are the formal and material causes of the sixteenth-century Reformation. Those two principles are the doctrines of sola Scriptura and sola fide. Neither of these doctrines are explicitly declared in the five points of Calvinism; yet, in a sense, they become the foundation for the other characteristics of Reformed theology. These introductory statements about what Reformed theology is not are given a much broader and deeper expression in my book What Is Reformed Theology?, which was written to help laypersons and Christian leaders understand the essence of Reformed theology. 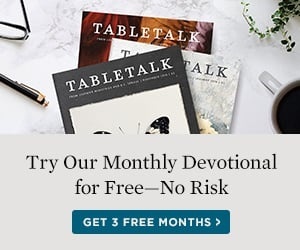 In this article I am giving the bare-bones approach to the doctrine, reminding Tabletalk readers that Reformed theology so far transcends the mere five points of Calvinism that it is an entire life and world view. It is covenantal. It is sacramental. It is committed to transforming culture. It is subordinate to the operation of God the Holy Spirit, and it has a rich framework for understanding the entirety of the council of God revealed in the Bible.